The association of aluminum toxicity on the development of osteomalacia and aplastic bone disease in dialysis patients is a subject of major research interest. To study the adverse effect of aluminum on bone, experimental animal models of aluminum induced bone disease have been developed. 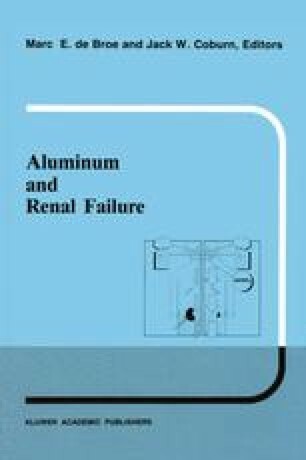 Although an exact duplication of the bone disease observed in dialysis patients has not been achieved, morphological changes resembling those observed in patients have been produced in the various experimental models of aluminum intoxication. The importance of these animal models is not that they accurately reproduce the disease but that they are useful in studying the mechanisms of bone aluminum toxicity.